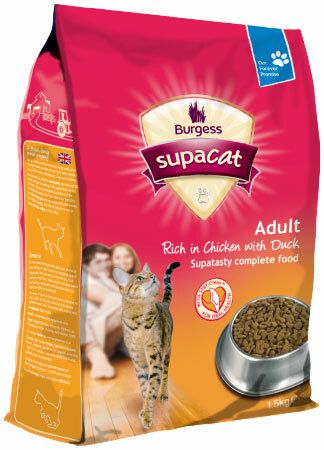 Supacat Adult Rich in Chicken with Duck is an irresistibly delicious crunchy meal that cats will adore. 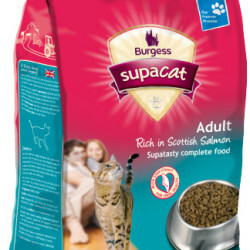 It contains all the protein, vitamins, minerals and taurine to help keep your Supacat happy and healthy. 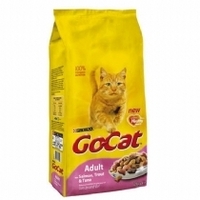 We have coated the kibbles with STAY-Clean TM which helps reduce plaque and tartar build-up on teeth. 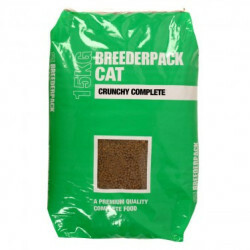 Dental issues in cats have been identified by vets as one of the main health issues. 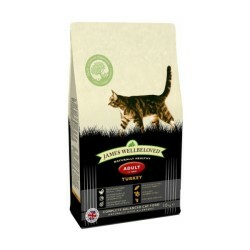 STAY-Clean TM is a specially formulated supplement that works with the saliva, naturally cleaning your cats’ teeth as they eat.